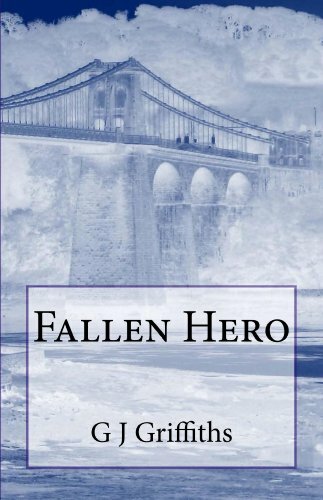 FALLEN HERO is about a man who seems to spend his life building bridges. Bridges between his unknown origins and his aspirations in life. Once he finds a tenuous link to his biological father Chris Squires cannot help but follow its path. Despite his misgivings he seeks out his roots. FALLEN HERO is also about a man who is trying to reconcile the realities of war, and life, with his disappointment over his lost inner hopes for the dad he needed to find. 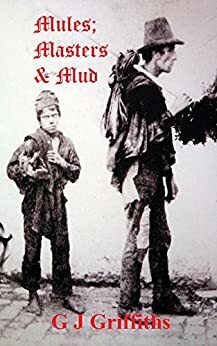 Two boys about to become teenagers: Christopher, born just after the end of World War Two, grows up in the UK; Fritz, orphaned by a bomb dropped on his German home in that same terrible war, befriended by a US marine. When Christopher discovers he was adopted he seeks to find his biological father. Fritz never gets the chance to grow much older and is found dead in the back of General George Patton's Cadillac at the end of the war. Chris Squires is a confused man, constantly seeking his hero father-figure. The British baby boomer is surprised to find he has a connection with Fritz. Chris discovers the link through Jimmy Lucas, a GI veteran, who he believes could be his father. But his surprise turns to horror when he learns that Jimmy was involved in the death of both Patton and the boy. Did he kill General George Patton, one of the greatest Generals of the twentieth century? Did he kill an orphaned German boy at the end of World War Two? If the answer to any or all of these questions is Yes! how will Chris cope with the rest of his life? A confrontation creates further tragedy for Chris, for Jimmy, and for Walt - the man who had saved Jimmy’s life! Chris panics and retreats back to Britain, trying to forget the incident he caused in San Francisco. Although appearing to lead a mundane and respectable life, for years he is tormented by guilt. He still hopes to find his hero, a guide to some kind of inner peace. And then Walt re-enters his life bringing with him a new bridge!